Facebook is the largest social network in the internet with more than 400 million members worldwide. Facebook members can set up a profile, befriend other members, post on pinwalls and post messages, links, pictures and videos. And additionally members can become friends of so called "fan pages" of artists, sports clubs etc. 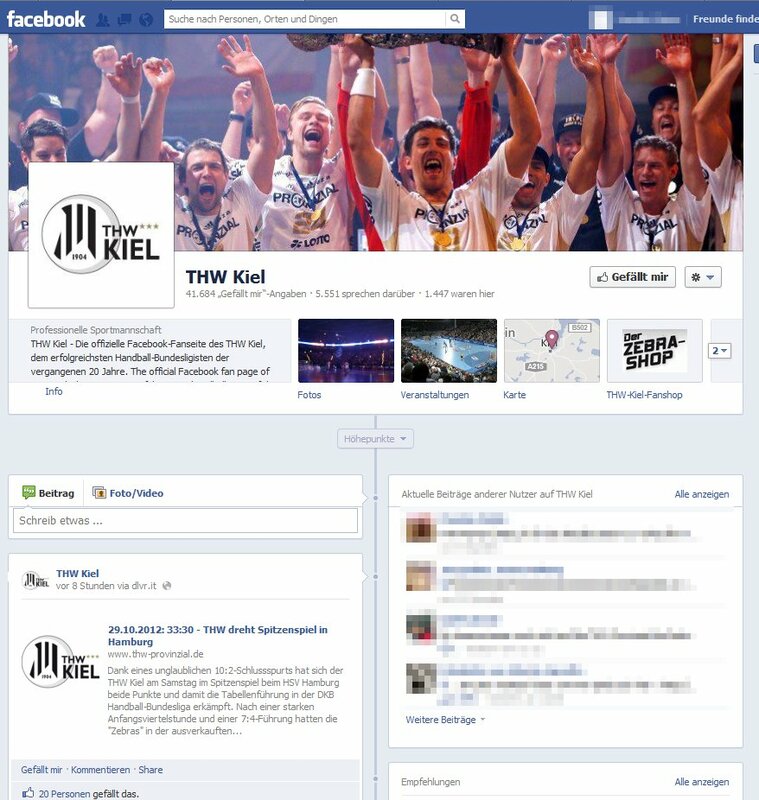 THW Kiel also has its official facebook fan page. Show on facebook that you're a THW fan - Click on "like" and interact with other THW supporters! On our official face book page you'll find the latest news, exclusive infos, live results and various other information. The facebook membership is free - register here. The official THW Kiel facebook page can easily reached at www.facebook.com/thwhandball. A preview of our facebook page. Links: The official THW Kiel page on facebook. Edited on 29.10.2012 by Webmaster THW Kiel.